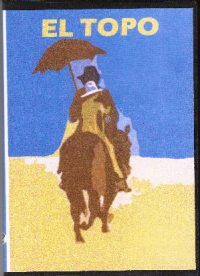 Lonesome Dove began life as a Larry McMurtry screenplay written for the big screen, with John Wayne, James Stewart, and Henry Fonda in mind for the roles of aging Texas Rangers Gus McCrae, Woodrow Call, and Jake Spoon. That too-good-to-be-true project never happened, and McMurtry shelved the story for some years and then revived it as a Pulitzer Prize-winning novel. 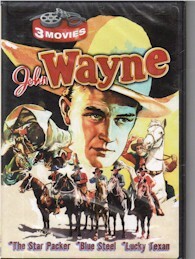 The latter was subsequently adapted for the glorious 1989 television miniseries starring Robert Duvall as Gus, one of the most endearing and heroic figures to come out of Old West mythology, Tommy Lee Jones as the equally noble but taciturn Woodrow, and Robert Urich as their fallen comrade, Jake. Set in the late 19th century in a sleepy Texas town, we meet Gus and Woodrow long after they put their days of settling the West behind them. Busy as cattle ranchers yet spiritually idle, the two head out on one last great adventure to set down new stakes in Montana, a journey that is fraught with terrible dangers, reunions with old loves, and unexpected collisions with destiny. 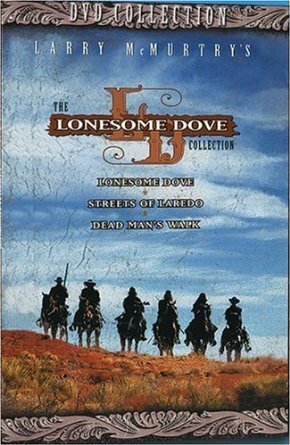 An exemplary and moving Western drama with magnificent performances from Duvall and Jones (and great support from Anjelica Huston, Rick Schroder, Danny Glover, and Diane Lane), "Lonesome Dove" paved the way for three sequels, two of which are in this collection. 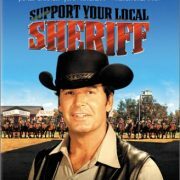 "Streets of Laredo" features James Garner this time as Woodrow Call, who is hired by a railroad company to track down a young criminal and comes face to face with his own past. The other is "Dead Man’s Walk", a powerful prequel in which we meet Gus (David Arquette) and Woodrow (Jonny Lee Miller) as young men and Rangers recruits, facing their first challenges together. 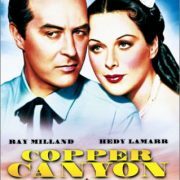 The jewel in the crown of this collection is the original film, but the other titles are highly enjoyable and bring a sense of sweeping narrative to the proceedings.